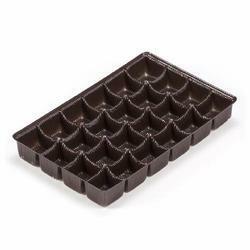 Prominent & Leading Manufacturer from Dadra, we offer bakery confectionery trays, biscuit trays, pet biscuit tray, vacuum formed trays, chocolate packaging tray and chocolate tray. 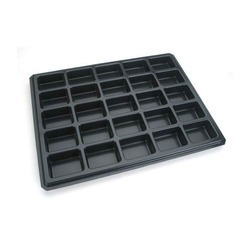 Bakery Confectionery Trays required for bakery products need to be aesthetic in looks and easy to handle. We are working with our customers to develop customized products which helps in market differentiation. 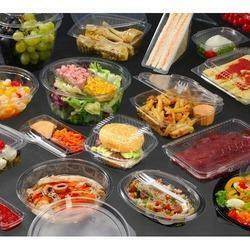 We have a big range of trays, boxes, sandwich boxes, khari boxes, etc. High volumes and quality finish is our strength. All production takes place in our clean room with finest attention to detail regarding shine, transparency and scratchless product, which is very essential for presentation in this industry. We are manufacturing PET Biscuit Trays. We are proud to be the leading suppliers with the highest volumes and quality product. We understand the importance of food packaging and at our plant we have set up a clean room to cater to this industry. 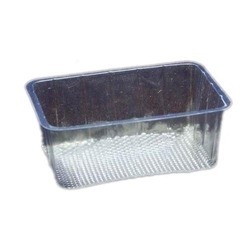 We are engaged in manufacturing, exporting and supplying of Vacuum Formed Trays which are highly appreciated for their sturdiness and aesthetic look. The product is widely used for the displaying of all kinds of products These products are not only popular in India but are also pleasing in outside India. 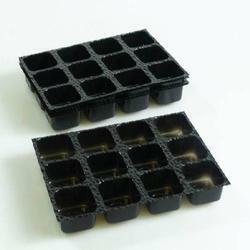 Looking for Confectionery Trays ?